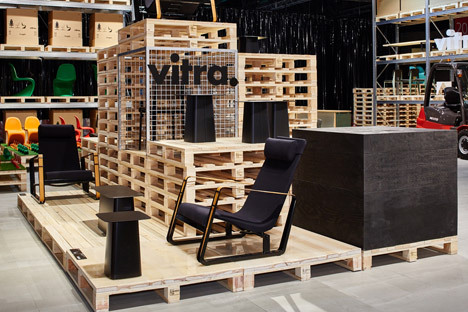 Milan 2015: Tokyo-based mostly Schemata Architects designed an exhibition stand for Swiss furnishings brand Vitra created from Japanese wooden pallets for Milan’s 2015 Salone del Mobile style honest . 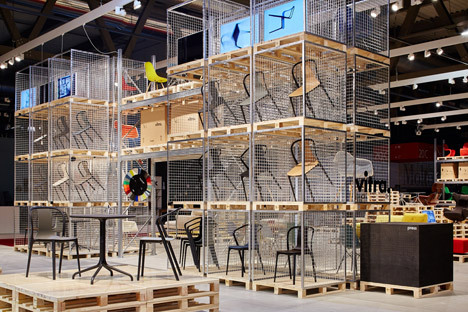 The space at the Rho Fairground venue featured plinths manufactured from pallets to generate various heights, stacked pallets as walls, and the original pallet racking method of wire crates redesigned for the stand. 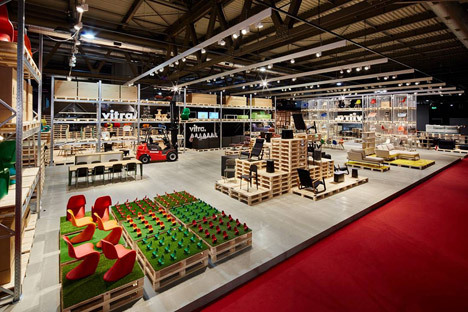 Colour was utilized to the surface of certain pallets to denote different elements of the stand. 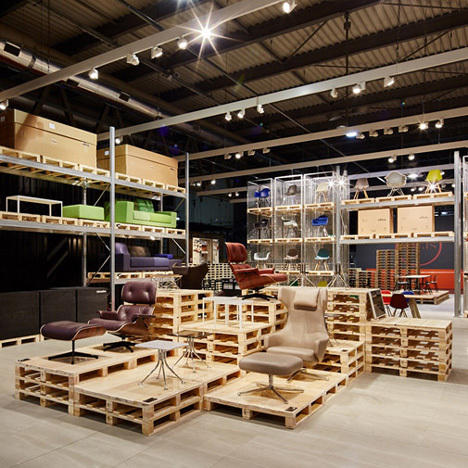 “We composed the area by stacking wooden pallets to express repetition as inspired by Vitra’s collection, and partially cast epoxy resin to produce distinctive surface finish,” mentioned Jo Nagasaka of Schemata Architects. 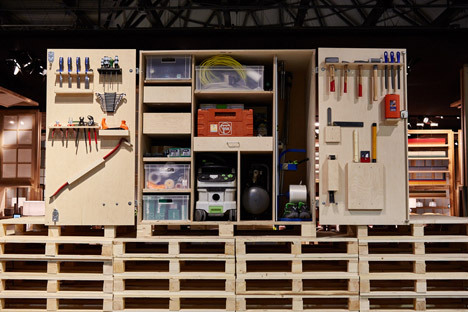 Japanese wooden pallets are constructed to a regular dimension of a single metre by one particular metre, offering a repeating module that formed the basis of the design and style, enabling distinct components of the stand to be customised. “We adopted a DIY type, in which each designer could experiment and produce the very best way to display his or her item,” explained Nagasaka. The pieces on the show integrated Ronan and Erwan Bourourllec’s Belleville Chair and Table, the Polder Sofa and Compact by Hella Jongerius, and the Mariposa Sofa by Edward Barber and Jay Osgerby. 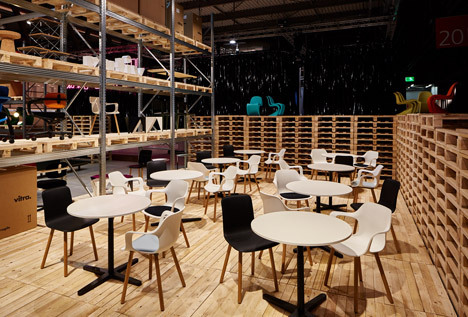 This year’s Salone del Mobile took location from 14 to 19 April.